The media relations team tells the UNC Greensboro story to the world. 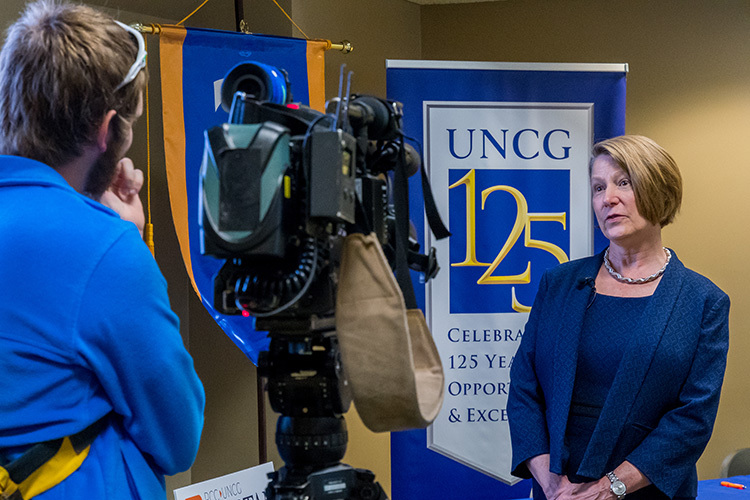 We proactively engage with print, digital, and broadcast media to generate positive/accurate, timely, and compelling news about UNC Greensboro and our commitment to opportunity and excellence. 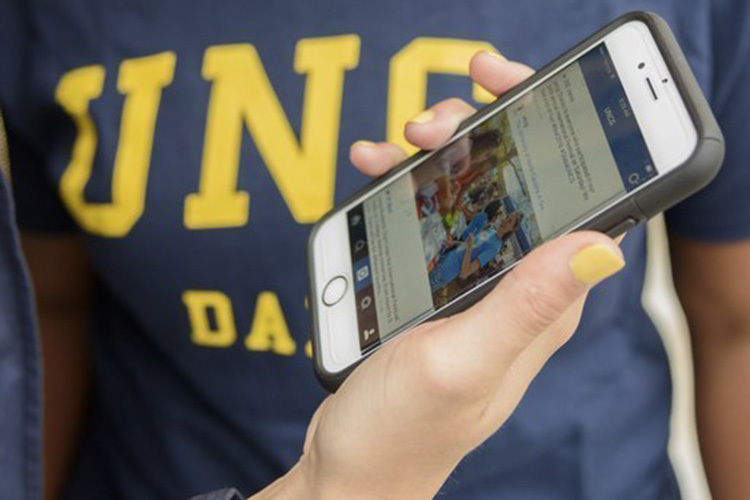 Our team manages the University’s social media platforms as well as the news site UNCG Now. Often referred to as “PR”, media relations involves working with members of the press to share accolades, accomplishments, success stories, research, and to position faculty and administrators as subject matter experts in their respective areas of expertise. UNC Greensboro uses multiple social media channels to share important news and build community among current and future students, faculty, staff, alumni and community members. Visit our Social Media page for social media standards, account names, and other resources. Follow the University’s primary channels on Facebook, Instagram, LinkedIn, Snapchat, Twitter and YouTube. 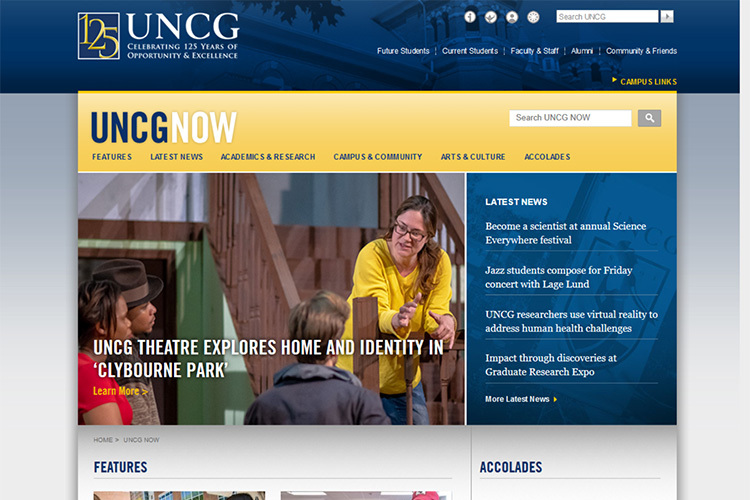 As the university’s primary news site, UNCG Now serves as a go-to resource for the campus community, prospective students, Spartan alumni and members of the media. Visit uncgnow.uncg.edu to read the latest university news and learn more about academics and research, visual and performing arts, and campus and community events.